The Premises: An extensive range of traditionally constructed mainly single storey buildings extending to some 534m2 (5,746ft2) internal floor area with potential for conversion to six employment units together with car parking. The Premises have formerly been used as a Centre for the Riding for the Disabled (being a sui generis Use Class specific to this activity). Relocation of the Association has made the Premises available for redevelopment and use. 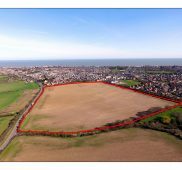 Planning and Conversion of the Premises: Suffolk Coastal District Council have indicated their support for redevelopment of the Premises to employment uses subject to planning permission. A long lease of the Premises would be made available conditional upon the leaseholder completing conversion of the Premises to provide six self-contained business units available for occupation within 24 months of commencement of the term. 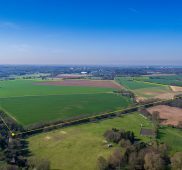 Conversion of the units in accordance with the Preliminary Specification of Works (prepared by Peter Wells Architects Limited – January 2019) and appended herewith will be a condition of the Lease. No compensation for the securing of planning permission or the cost of conversion works will be available to the tenant at the end of the term. Lease: A single Lease for 21 years excluding the Landlord and Tenant Act 1954 rights for lease renewal. The Lease will allow for subletting of individual units (each first having been converted for employment use in accordance with the Preliminary Specification of Works) on terms not to exceed the Head Lease and capable of providing vacant possession within 5 years. The Lease shall be granted on full repairing and insuring terms. Opening Rent: A rent of £6,000 per annum shall be charged annually in advance and shall be subject to upward only review every 3 years to the greater of RPI adjustment or Market Rent. Outgoings: The Tenant shall be responsible for all usual outgoings including mains water supplied to the Premises (via a metered distribution main within the control of the freehold owner). All necessary rights and easements shall be granted to enable connection/ upgrading of services to the Premises. The leaseholder shall be required to contribute towards the maintenance and repair of the access roadway, such costs to be apportioned according to user.